We had a very successful Olil clinic this weekend. 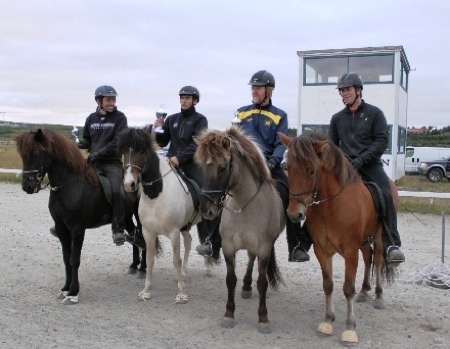 There were 10 riders and everyone got individual attention from Olil which was very helpful. We hope she is coming back soon. Last weekend was our first WorldRanking show and we are very happy with the results. It was a lot of work but well worth it. We hope everyone had as much fun as we did. Dynjandi won T1 and V1, Rachel and Kaliber came 2nd in both. 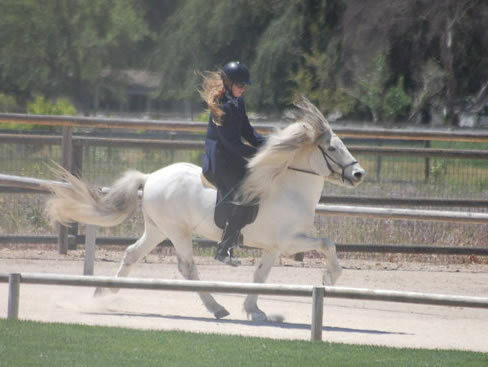 Christina and Hroftur rode in Open for the first time and they did very well. Anne-Marie and Bragi were 3rd in T1 and Anne-Marie did very well with Húni in T2 by scoring 7.43. Byr and Dominic won both the intermediate classes and Willy came 2nd in T5. 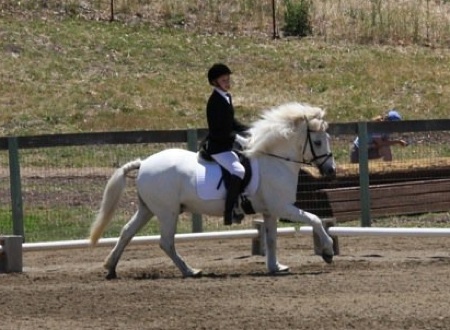 Eileen and Drift won Pleasure Tölt and were second in Novice Fourgait. 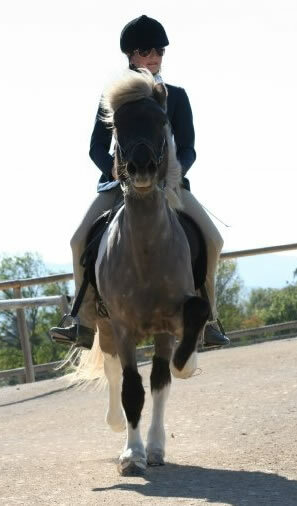 Háfeti was entered in his first show and Ásdís rode him in Green Horse Tölt and Fourgait. We are very proud of both of them. Cait and Kani entered V1 and placed 4th. Lucy and Andri also showed off their amazing fast tölt! 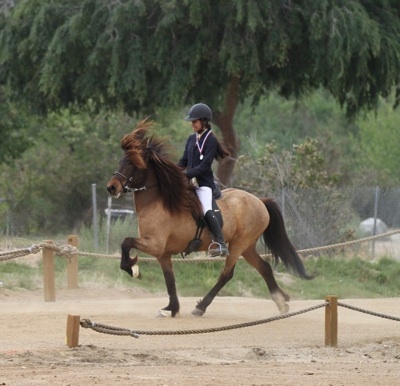 Rachel and Erró participated in the Costume class and were 2nd after Annie and her amazing gipsy costume on Batman. Overall a very good show for the Flying C Team! Big thank you to our judges. 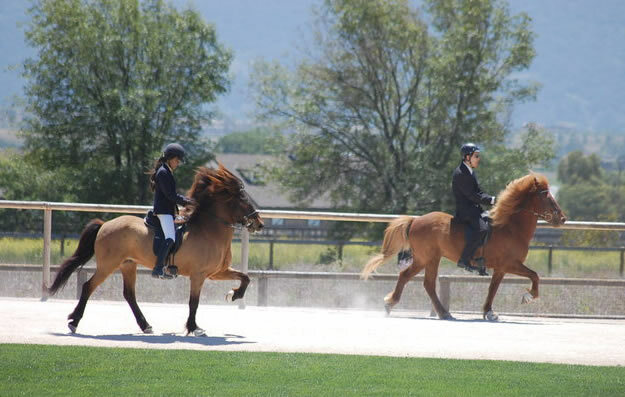 We took 4 horses to Watsonville, CA to participate in the Mountain Icelandic Farm Show in September. 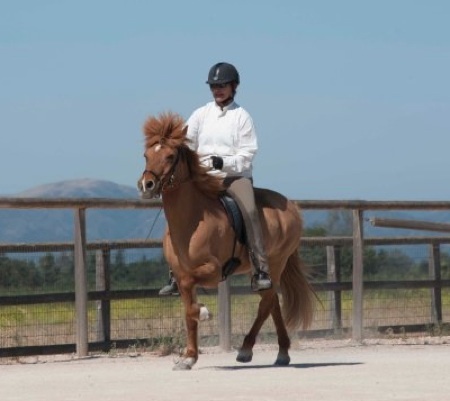 Anne-Marie rode Sörli in Fivegait and Bragi in Open tölt. Rachel rode Kaliber in Open Tölt and Fourgait and I rode Perla in Fivegait. 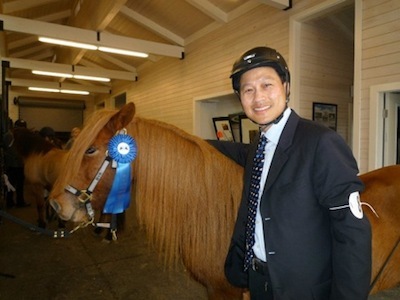 All the horses did well and we were happy with the results. It was a pitty how few participants entered the show but we had fun like always. 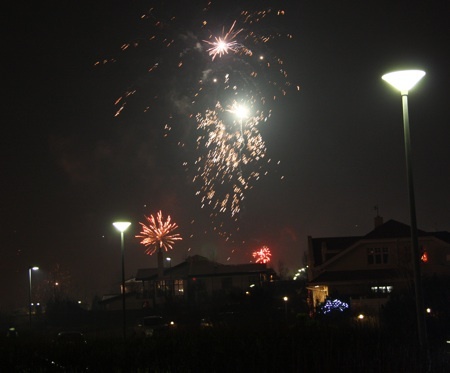 Thanks to Annette and Bruce for opening up their home for a fun show. Rachel was by herself in Fourgait and Anne-Marie by herself in Intermediate Fivegait and I was the only one to ride Open fivegait. Rachel and Anne-Marie fought it out in Open Tölt finals and Rachel won by a small margin this time. 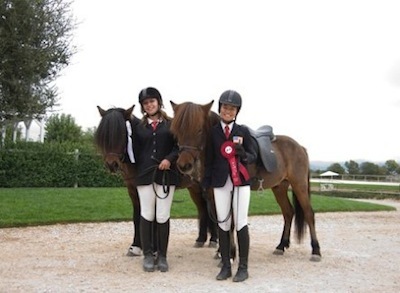 Lucy and Cait rode their horses in the show too and both did very well also. Everything is getting ready for our show in October and we are hoping to see most of you here! 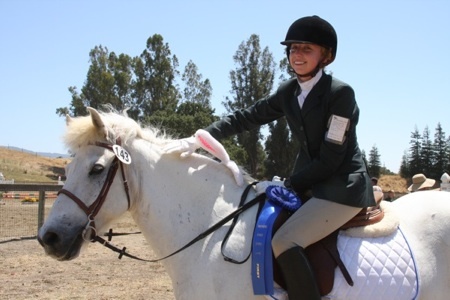 Click here for more info on the CIA Open Fall WorldRanking Show! 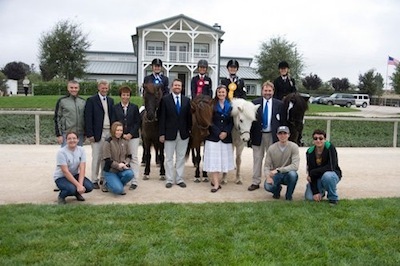 We had a fun schooling show here this past weekend with our students. There were 13 rider/horse combinations entered and we had everyone video taped and went over their programs in the afternoon. Very informative and I think everyone had a lot of fun. Here are few photos I" borrowed" from Willy Ma's Facebook. 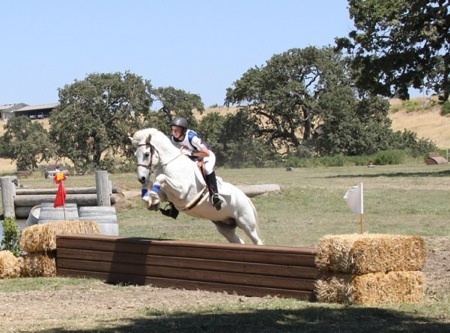 Caitlin and Grásteinn frá Æsustöðum rode in another Eventing competition at Shepherd Ranch here in Santa Ynez. This time they went up a level and ended 2nd. 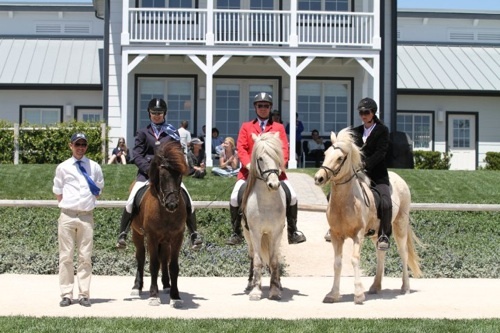 They were the combination winners between the two summer shows at Shepherd Ranch. It was so much fun watching them the whole weekend and we are extreamly proud of them!! 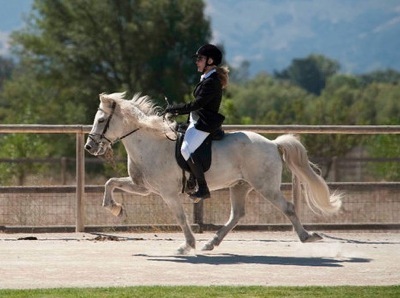 New Sales horse has been added. Click here to check out our sales site. 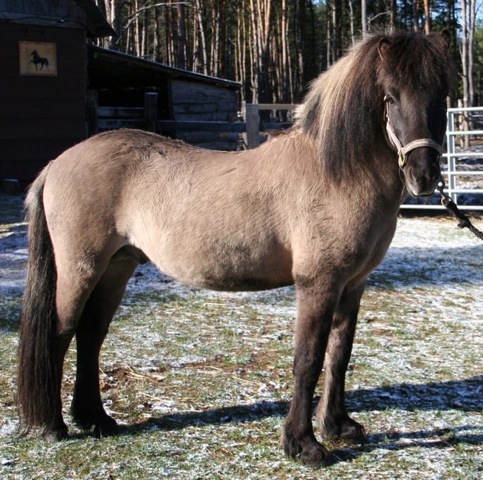 Vindur is now offered for sale. 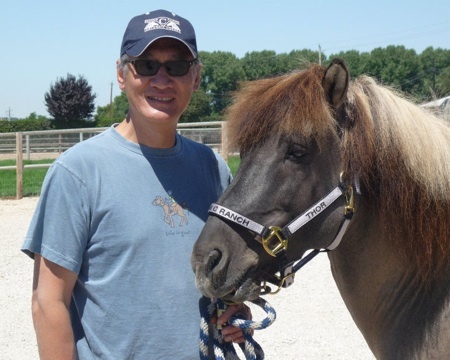 We are excited for Willy and his new horse Þór frá Prestsbakka. Willy bought Þór here from us and will keep him here at Flying C for training and take lessons on him. They are a great match and we know they will have fun together. At the same time Þór is changing ownership his offspring are doing very well in Iceland. 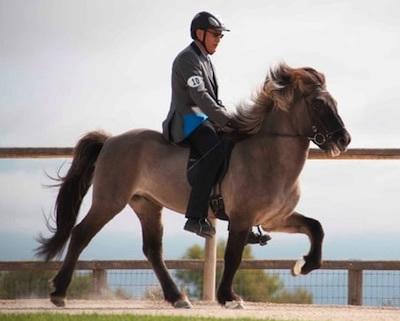 First Freyþór was shown at the Breeding Show in Hella last week and now his son Ás frá Hvoli won 100 m pace at the Reykjavík Championships with Árni Björn. 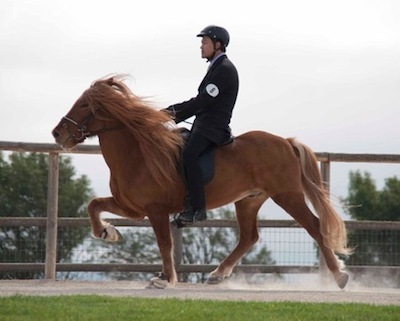 Ás is a very successful pace horse in Iceland. Kani's brother Villandi frá Feti also changed ownership. 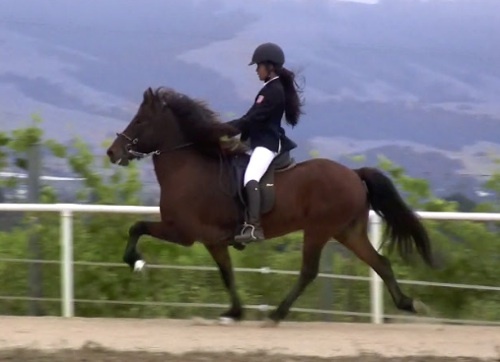 He is a 6 year old very promising five-gaiter located in Iceland. 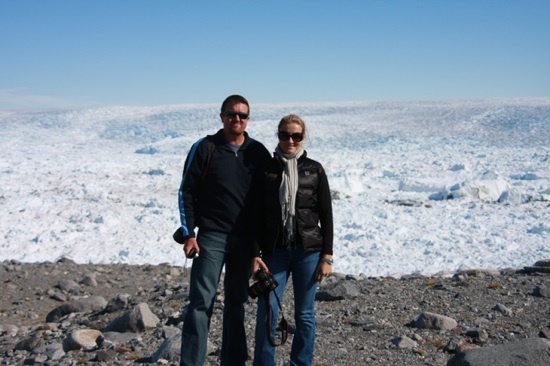 We went to Iceland and Greenland in July for a visit and stopped for one night in Seattle on the way back. We had a great time in all 3 places. Then we saw yesterday that the Þór frá Prestsbakka son Freyþór frá Hvoli was shown in Iceland and got some nice marks. 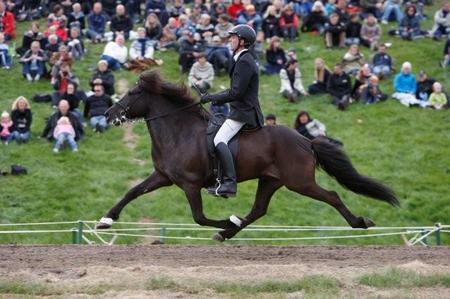 We also got an update from Canada about another Þórson Bjartur from Flying C Ranch. 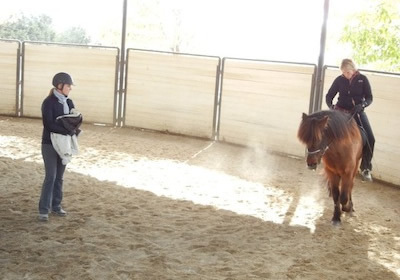 He is now being started under saddle and they are very pleased with how it's going. Bjartur is born here and is a son of Will's older competition mare Perla frá Rauðuskriðu. 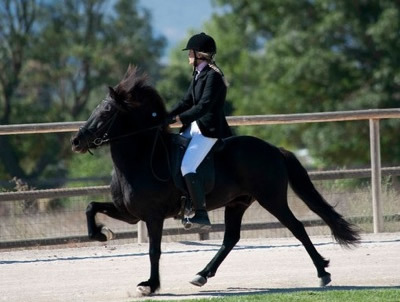 Bjartur is a stallion and standing at stud at Bonaventure Farms in Ontario. Check out www.bonaventurefarms.net for more info on Bjartur and his friends. Now the two babies we were expecting this year are both born. They are both out of Hrafn frá Garðabæ. Gola frá Höfðabrekku had a colt on June 9th. 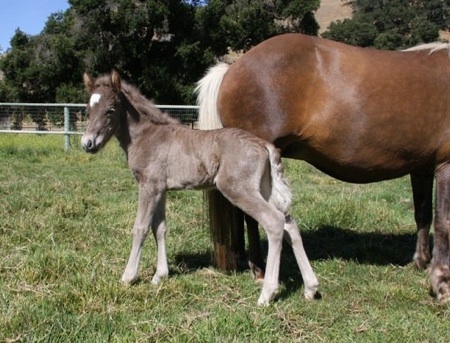 And Perla frá Rauðuskriðu had a filly June 22nd. 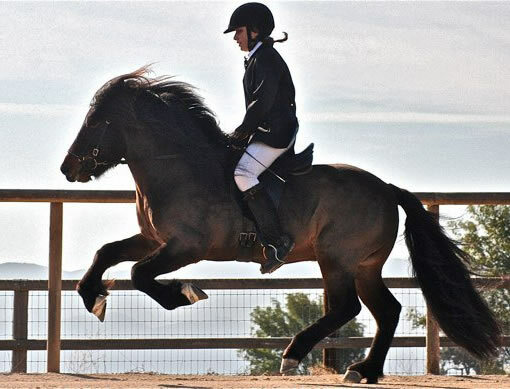 Will has been riding Svarta Nótt and she is coming a long nicely. She is daughter of Rák frá Akureyri and Þór frá Prestsbakka. 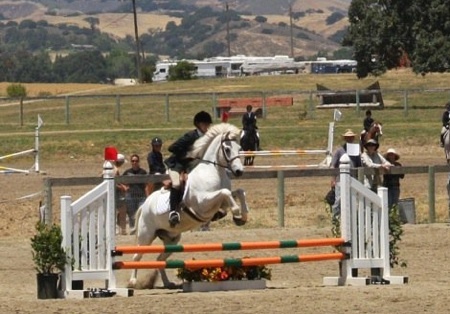 We had a small invitational schooling show here at our ranch June 19-20. 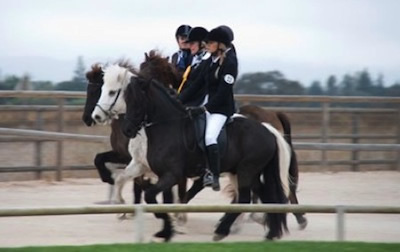 There were 12 rider/horse combinations signed up and we did riding in the morning and everyone was filmed. Then after lunch we gathered in the barn to watch everyones performances and go over what could improve for a better performance. Rachel, Madison and Cait are all getting ready for Youth Cup and are leaving next week for Denmark. 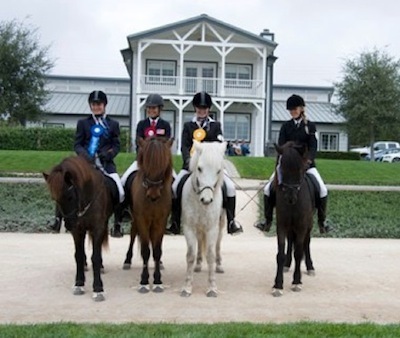 They will all be representing the US and compete on horses they are borrowing in Denmark. We will be cheering for them from here!! Caitlin bought Grásteinn thru us from Willy and Eileen back in end of April and she has been training him as a 3 day eventer. 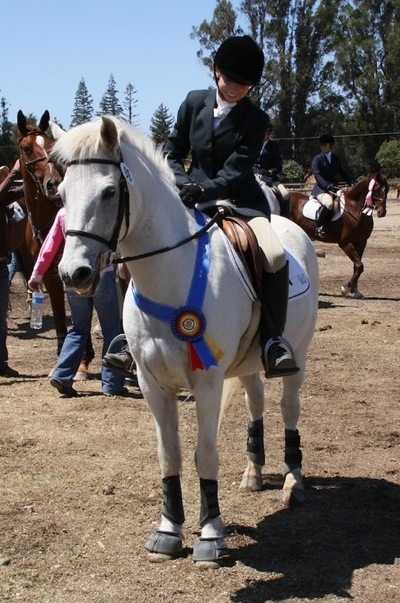 They entered their first show last weekend at Shepherd Ranch here in Santa Ynez and they came first in their division!! We are super proud of both of them and we can't wait for their next event in the end of August! Caitlinn and Grásteinn after receiving 1st place in their division! 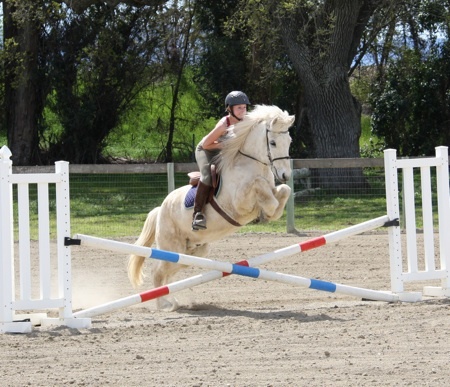 Grásteinn has only been jumping since this spring under saddle when Jenny and Caitlin decided to try it. He seems to really enjoy it and Caitlin and him are a great pair! We had the CIA Open here at Flying C Ranch last weekend. 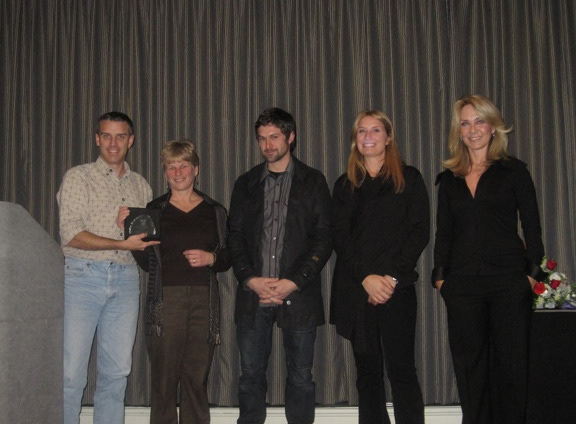 The show was a great success and everyone was really happy with Nicolai as our judge. 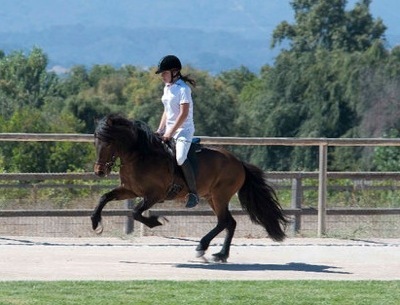 We had over 30 horse and rider combinations including 10 horses from our farm. 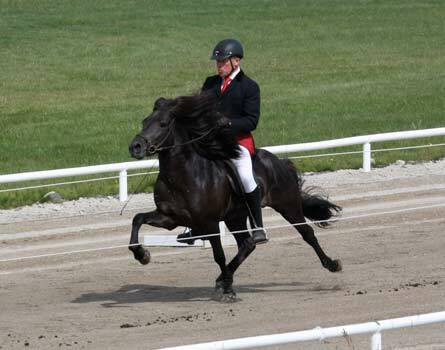 Dynjandi did very well in open Tölt and Fourgait. We scored 9.0 in the T1 preliminaries including 9.5 for Slow Tölt, 8.5 for Speed changes and 9.0 for Fast tölt. And 7.80 in Fourgait. Húni and Anne-Marie did very well too scoring 7.40 in T2. 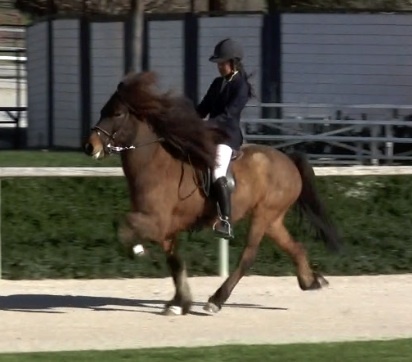 Rachel rode Kaliber for the first time in Intermediate Tölt and had some minor faults in the preliminaries but managed to fix them for the finals and took the gold. 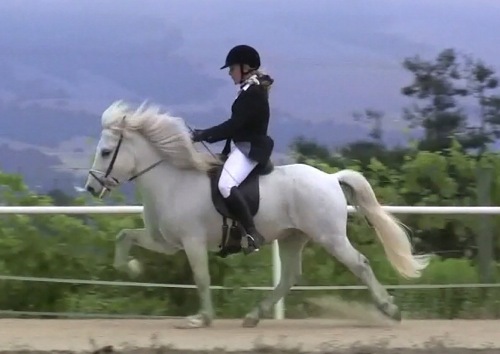 Her Dad Dominic came second on Dreyri frá Saurbæ. 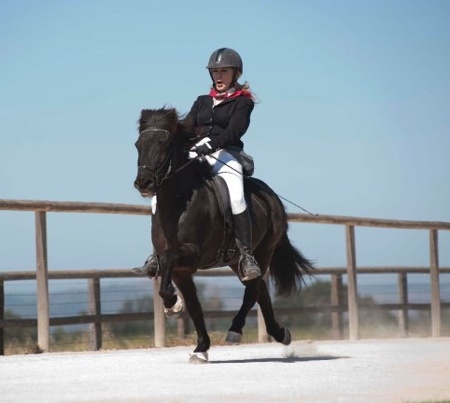 Rachel won the Youth Fourgait on Kaliber, she got 6.5 for Tölt, 6.5 for Trot, 8.5 for walk and 7.5 for canter and a total of 7.30 in the preliminaries. 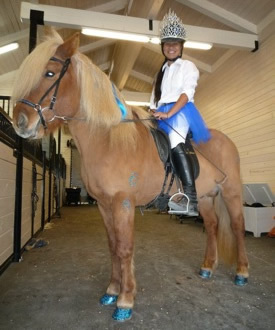 Rachel rode Þór in the Youth Tölt and got 7.0 and in Open group fourgait (V2) where she was 3rd in the final. 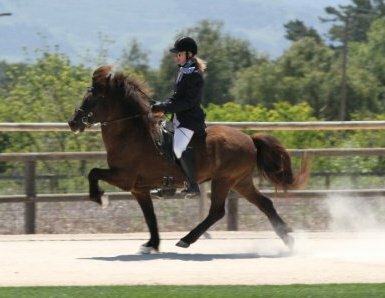 Rachel rode Erró frá Sléttubóli in T6 (intermediate loose rein Tölt) for the first time. They did very well in the final. Anne-Marie also rode Sörli in F2 and pace race for the first time. Will, Anne-Marie and I rode in the 100 m pace race. That is always a thrill. Eileen rode Drift frá Ytra-Dalsgerði in the Novice Classes and did very well. She caught a cold so was unable to ride in the finals. 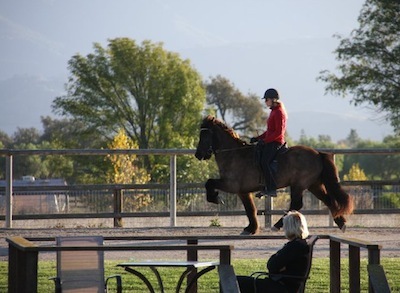 Other horses from our farm showed up like Kani frá Feti with Cait Nold riding in Youth Tölt and Fourgait. 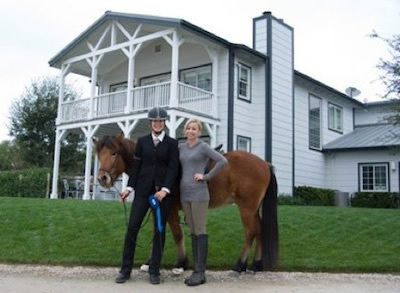 Also Ægir frá Byrgisskarði with his owner Alexandra Venable, they were second in both Youth Tölt and Fourgait. 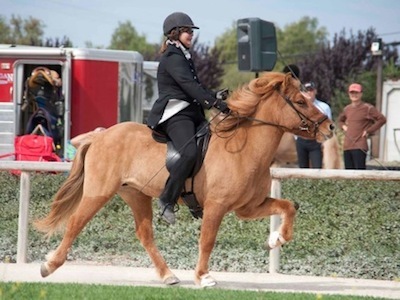 Lucy rode Andri and Christina rode Hroftur in the Open group classes. Mark your calendar for October 16-17, 2010 for our next show and hopefully it will be a WorldRanking event! We took 5 horses to the LA show last weekend. 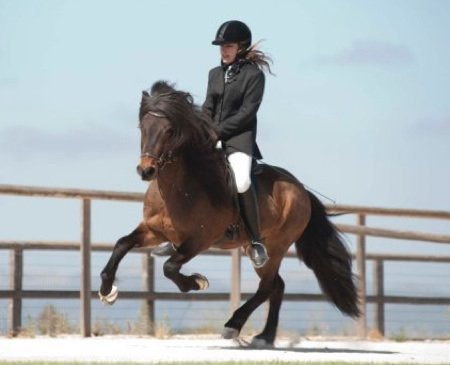 Rachel rode Kaliber frá Lækjarbotnum in Youth Tölt and Fourgait and Þór frá Litlu-Sandvík in Intermediate Tölt and Fourgait, Anne-Marie rode Húni frá Torfunesi in T2 and Sörli frá Dalbæ II in Intermediate fivegait and I rode Dynjandi frá Dalvík in Open Tölt and Fourgait. Dynjandi and I won Tölt and Fourgait. We scored 8.30 in T1 and 7.0 in Fourgait preliminaries. We got 8.30 in the T1 finals and 7.40 in Fourgait finals. Anne-Marie scored 7.4 in the T2 preliminary on Húni and 7.75 in the finals. 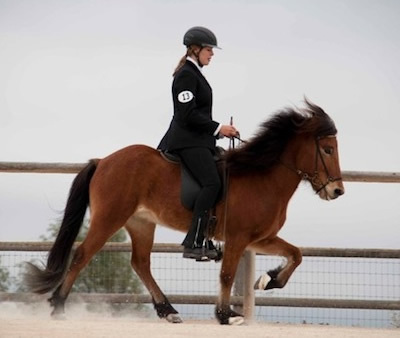 Anne-Marie rode Sörli in Fivegait and she got 6.4 in Fivegait including 6.5 for Tölt and Pace. 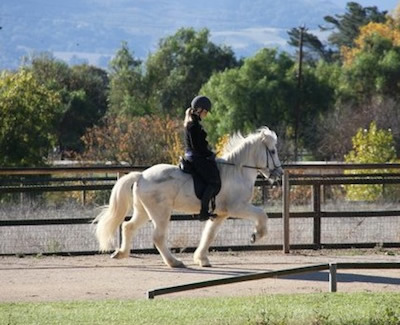 Very good start for them in their first fivegait competition. 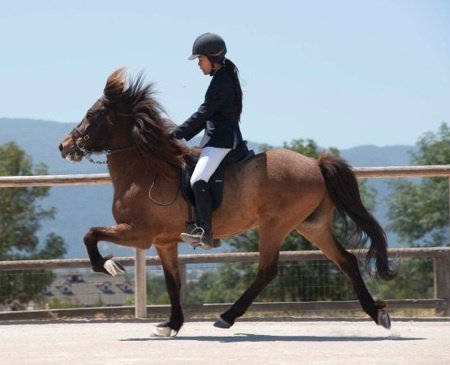 Rachel rode Kaliber in the Youth classes and scored 7 in both Tölt and fourgait preliminaries. 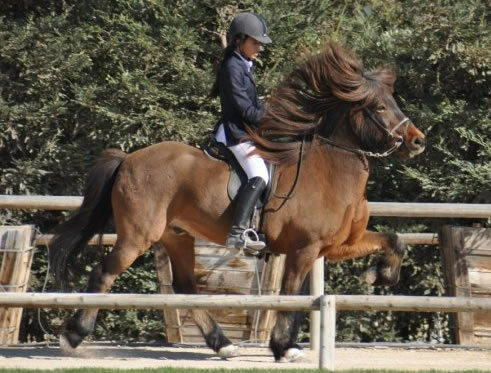 In the finals she scored 7.5 in Tölt and 7.13 in fourgait finals. 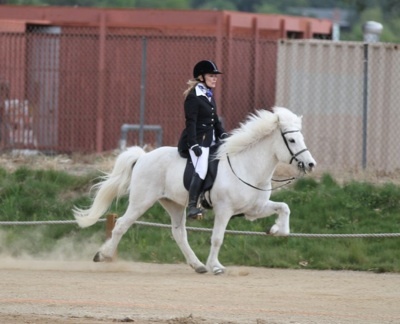 She also rode Þór in intermediate tölt and fourgait and scored 5.8 in the T5 finals and 6.3 in V3 finals. 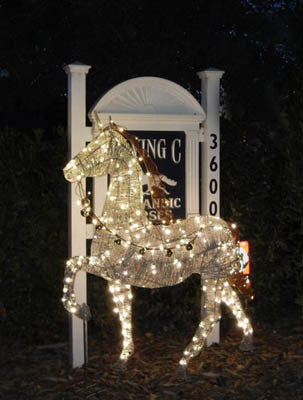 Overall a very successful show for the Flying C Horses. We brought home 7 golds and 1 silver. Our other students did very well as well. 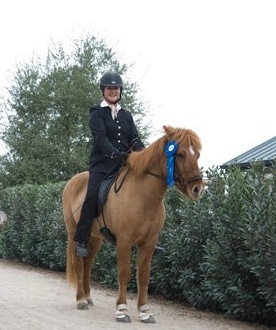 Cait rode Kani in Youth Tölt and Fourgait and was second after Rachel in both. Lucy rode Andri in T3 and V2 and scored over 7 in T3 including an 8 for fast tölt! 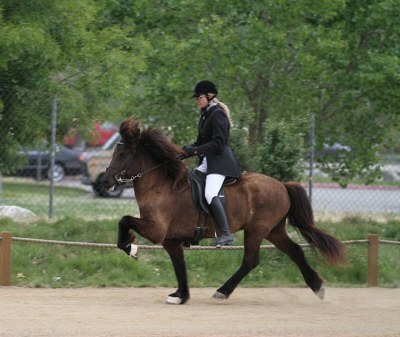 Christina rode Hroftur in V2 and improved her scores in the finals. 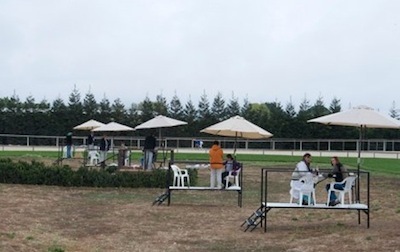 Doug rode Rán in T5 and Lind in F2 and Gayle was tied for 1st in Novice Fourgait on Flygill and ended second and she won the Pleasure Tölt class on Flygill! Now we are looking forward seeing everyone again soon at our show May 1st and 2nd. For more info on our show check out the CIA Website. The three girls who tried out for the Youth Cup have gotten their results and Rachel and Madison are on the team along with Kevin from Minnesota and Cait is the first reserved rider. We hope FEIF gives the US an extra spot so all 3 of them get to go together and enjoy their experience. 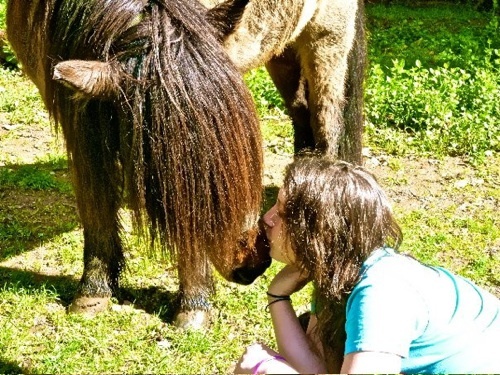 Caitlin and Jenny have been playing with Grásteinn and teaching him to jump. He seems to really enjoy it and so does Caitlin. 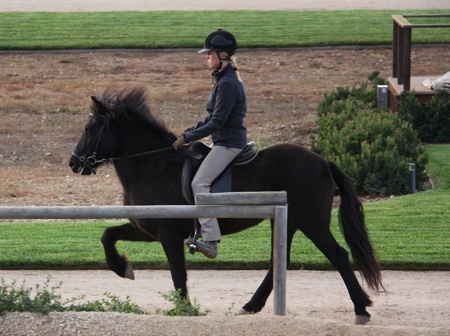 She rides big horses in 3 day eventing. See more about Grásteinn on our sales page. 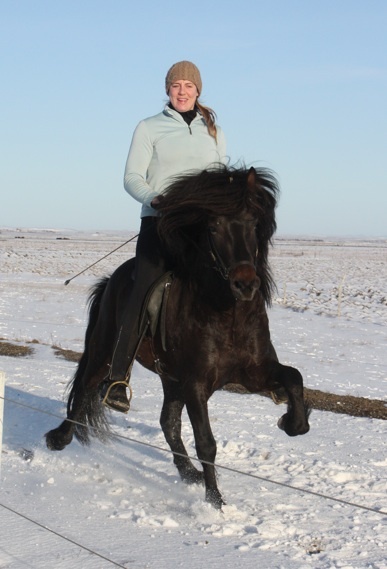 Anne-Marie's young stallion Brunnur frá Feti (s. Skrúður frá Litlalandi d. Gola frá Höfðabrekku) is coming along nicely in Iceland. Olil sent us photos of him in Tolt. He is born 2006 so he is only 4 years old. 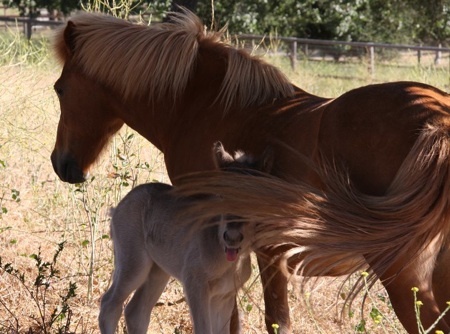 Now with show season around the corner Dynjandi and Húni have been going swimming again at Sharf here in Santa Ynez. 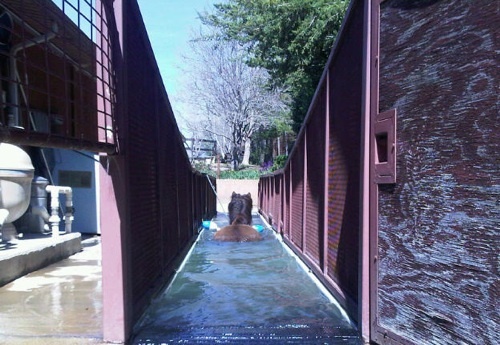 They really enjoy their once a week treat and now with the warmer weather it is very nice for them to get into to the cool pool and work on their stamina. Our next show is in LA in April 10-11 at Valhalla Icelandics. And our show is coming up May 1st and 2nd. For more info on our show check out the CIA Website. We hope to see you here at our show! February has been a busy month. We had 3 girls here trying out for this years Youth Cup. Rachel rode Kaliber frá Lækjarbotnum, Cait Nold rode Kani frá Feti and Madison Prestine tried out on Rán frá Hofi. 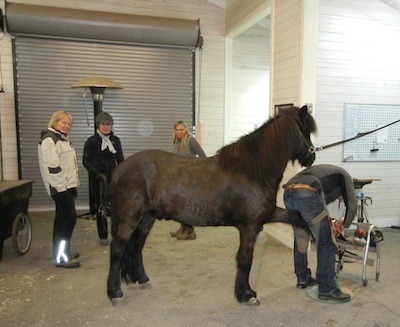 They all did a very good job riding their first individual Tölt and Four-gait programs. The applications and DVD's were due February 15th and they should know how they did and if they made the team by March 15th. Click here to See Rachel's Tryout video. Kani also went home with his new owner Cait and they are doing so good together and we can't wait to see how they progress now that they get to spend a lot more time together and get to know each other better. Our May show is aproaching and the information has been posted on the CIA website. 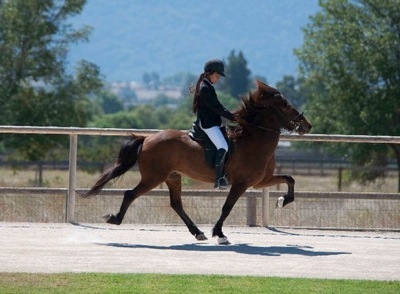 Few new sales horse have been added to our sales page. 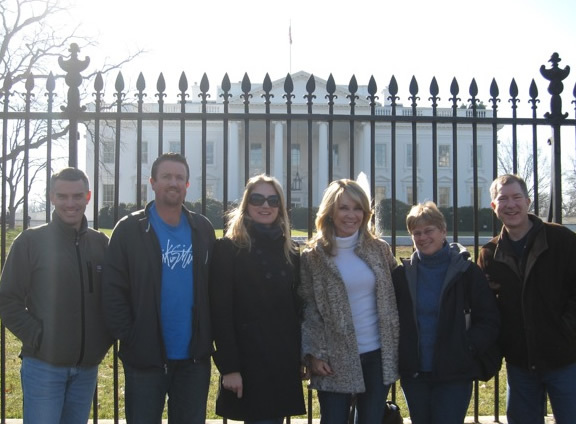 The USIHC Annual Meeting was held in Reston, VA mid January. Rich Moore and friends did a great job organizing the meeting and finding the venue. We had a great time meeting so many members and friends again. At the dinner Hjálmar Hannesson the ambassador of Iceland presented the National Ranking system for Sanctioned Shows and gave out the awards. Anne-Marie won the T2 for the year and I won T1 and V1. Lucy won the Youth Classes T8 and V6 and also T3 and V2. And Rachel won V3 the Intermediate Fourgait. There were few of us from last summers US team and we honored Doug as our team leader. We also made time for some sightseeing on Friday before the meeting since Will and I had never been to the capital before.